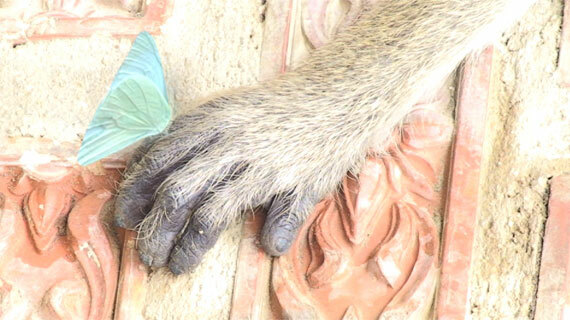 A motionless hand of an animal can be seen in the video. A small butterfly has landed on his hand. The butterfly accompanies the animal. Other butterflies try to dislodge the butterfly from its place, which occasionally succeeds. Yet the butterfly keeps returning to the animal's hand to keep it company. The video is an infinite loop.